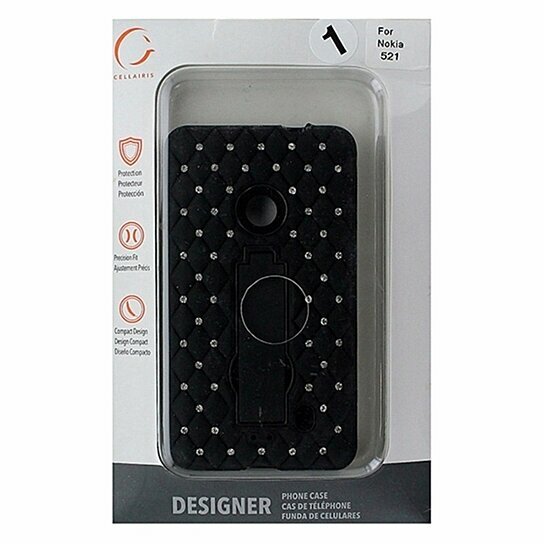 Cellairis products, Dual Layer Kickstand Case for Nokia Lumia 521. Soft shock absorbing black exterior with a black hardshell interior and Diamond studs design across the back. Built-in kickstand.